A few months ago, Cassio Goldschmidt submitted a panel discussion for consideration as part of the upcoming AppSec USA 2017 conference in Orlando, Florida. Cassio asked that I moderate the conversation. There was no question - I love this topic and I was in! KeyNote - Discussion on Application Security: John Steven and Jim Manico will be discussing application security from a unique perspective. Hopefully I will see you there. 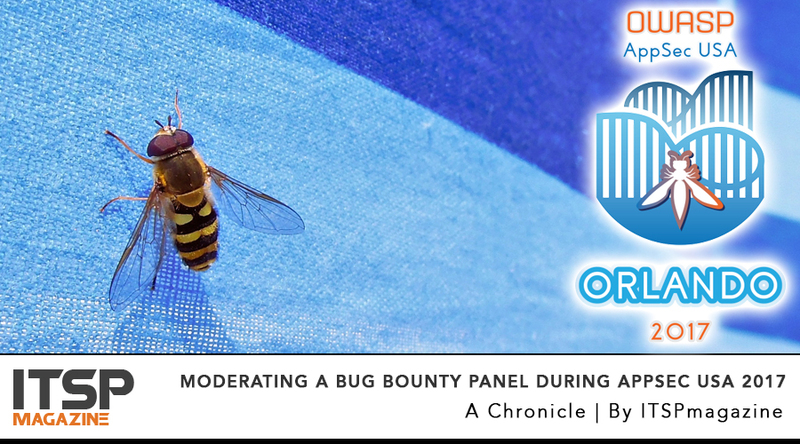 And, with any luck, you'll be able to join me and the other panelists for our session on Bug Bounty programs. Thanks to Edgescan and Prevoty for their support of application security and continuous vulnerability awareness. Newer PostWhat could our AI do with all your data? Something good or something evil? How about a lot of cash?